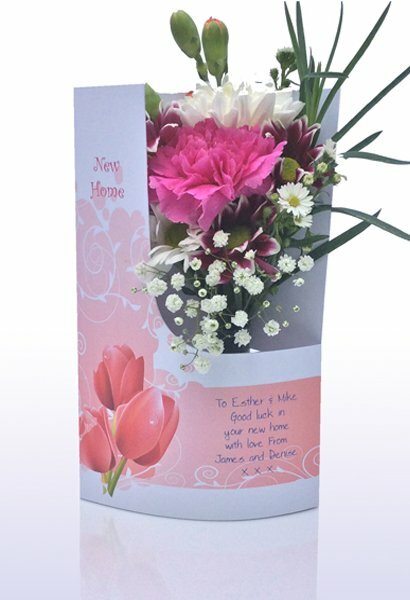 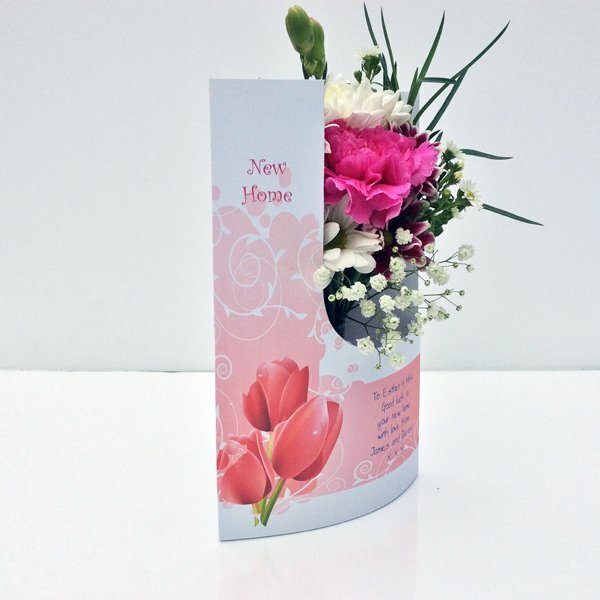 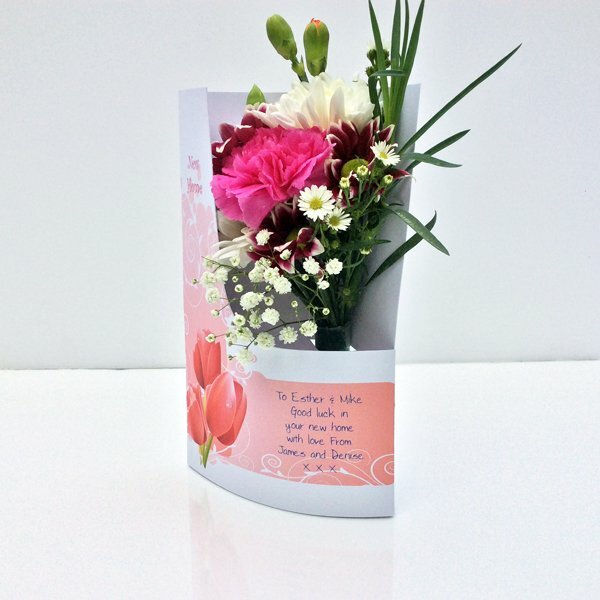 A traditional card with an elegant design with an explosion of pink. 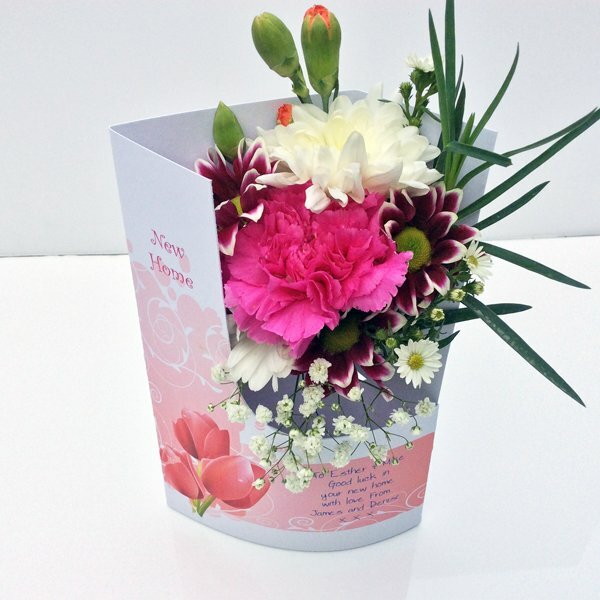 Brighten up the new home with a splash of colour. 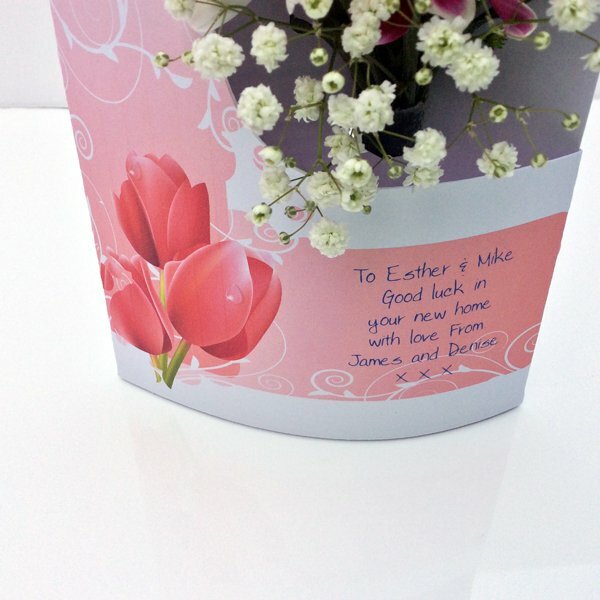 With your message printed on the front this makes a nice addition to the new household.